Dr. Yao Zhongping devoted himself into oncology clinical work for many years and has accumulated abundant clinical experience. Dr. Yao’s constantly study and research on cancer has enabled him to help many mid-advanced cancer patients relieve their painfulness, improve their life quality and prolong their lives. Yao Zhongping believes that being a cancer doctor not only mean to heal patients’ physical health, more importantly, is to reduce their anxiety, so as to help them establish confidence of fighting against cancer and mentally arouse their hope for life. Therefore, when facing his patients, Dr. Yao always behaves with confident, amiable and positive attitude to bring patients a psychological hint so as to let them feel his confidence of treating the disease and help them defeat the fear of cancer. 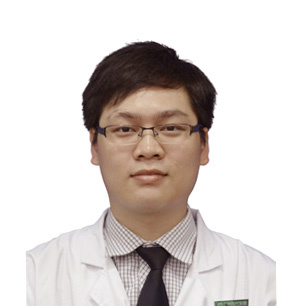 From July 2006 to July 2009, Dr. Yao studied in Zhengzhou Medical College. Dr. Yao Zhongping is expert in treating solid cancers like lung cancer, breast cancer, stomach cancer, intestinal cancer, etc. and proficient in various kinds of minimally invasive therapies, including interventional therapy, cryotherapy and radiofrequency ablation, etc. He is capable of practicing these therapies in clinical treatment and managing all kinds of complications of cancers.